Recently, it has been proposed that humans that evolved in Africa migrated out in two waves instead of one. The above map from the April 2018 issue of the National Geographic magazine illustrates this with the colors of the routes. The red path is the newly proposed migration path of roughly 200,000 years ago. The blue-green path is the earlier theory for 60,000 years ago. There is no question that there was a major emigration 60,000 years ago when climate change produced a severe drought. However, recent findings require consideration of a much earlier emigration. When my research team and I dated the flowstones – rock that forms from precipitation inside a cave – directly above and below the location of the two human teeth using an absolute dating method called uranium-series, we found that the human teeth dated to between 70,000 and 126,000 years ago; a situation clearly impossible if modern humans moved out of Africa only 60,000 years ago. You may also be interested in the research in Asian paleoanthropology here. This entry was posted in Uncategorized and tagged anthropology, Early humans on 2018/04/12 by Okunomichi. As students of the Jomon period, we are curious as to the state of agriculture, the vegetables cultivated and consumed, and especially the start of rice cultivation. First we provide this list of Jomon plants and their common names in English. This information is from Table 5.1, page 110, in Mark Hudson’s book, Ruins of Identity. Yes, there indeed was rice grown in Jomon times. In Hudson’s Table 5.2, he cites ample evidence found in published literature. The two oldest entries are pollen in Fukuoka, reported by Nakamura to be “before 3400 BP.” Two other published finds are ~ 1000 BCE, also on the island of Kyushu. There is also listed rice grain remains at the Kazahari site in Aomori (in the northeast Tohoku region) directly dated to 925 and 787 Cal BC. Researchers have suggested that the rapid spread of wet rice agriculture was due in part to the local culture having prior experience with the technology of agriculture. They have also pointed that the sedentary nature of Jomon sites and the large populations require a knowledge and practice of agricultural techniques. The practice of wet rice farming is established during the Final Jomon period. This means that wet rice agriculture was practiced prior to the advent of the Yayoi period. From cultivated plant remains, the first plants being cultivated were cucurbits (gourds), red beans, and peas, followed by barley and dryland rice. This information comes from Yoshinobu Kotani, National Museum of Ethnology, “Evidence of Plant Cultivation in Jomon Japan: Some Implications,” Senri Ethnological Studies 9, 1981. This entry was posted in Jomon and tagged Agriculture on 2018/04/12 by Okunomichi. WoshiteWorld has posted Jomon Population and Language: Notes from Ruins of Identity. 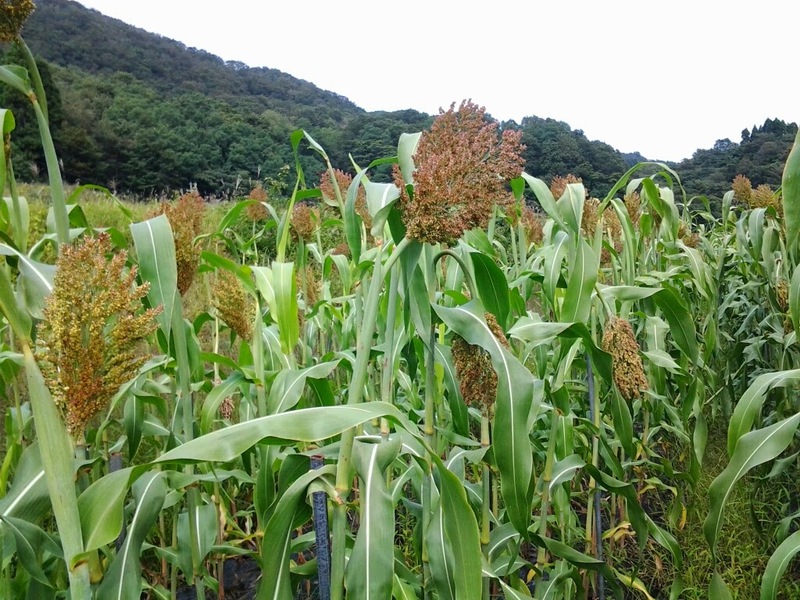 We have a related post, Jomon Cultivated Plants, next. This entry was posted in Jomon and tagged language, population on 2018/04/08 by Okunomichi.